Detailed field guide dealing exclusively with the birds of the region. It covers all species found in the Arabian Peninsula (including Socotra), Jordan, Lebanon, Israel, Syria, Iraq, Iran, Turkey and Cyprus. 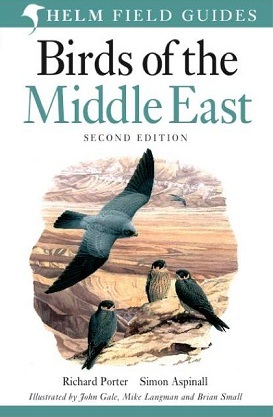 Over 700 species are described, including both indigenous species and migrants, with a concise text describing plumage and voice. All species are illustrated on colour plates (by A Birch, J Gale, M Langman and B Small), with distribution maps appearing opposite the plates, complete with notes on status and preferred habitat. This is a completely revised second edition. For the first time, the text and maps appear opposite the plates. There are more than 100 new species featured. 384 pages.